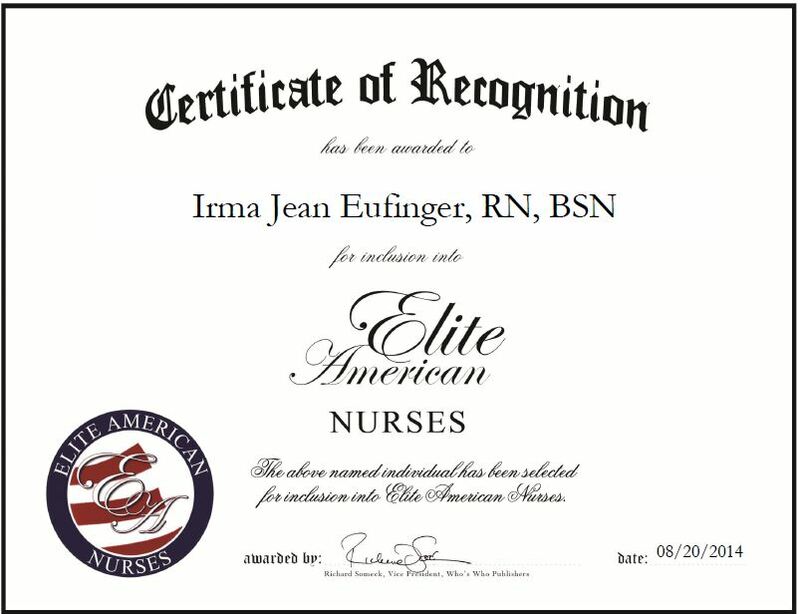 Oklahoma City, OK, August 20, 2014, Irma Jean Eufinger, RN, BSN, Occupational Health Nurse for Oklahoma City-County Health Department, has been recognized by Elite American Nurses for dedication, achievements and leadership in public health. Ms. Eufinger exhibited a natural talent for nursing while caring for her sick grandmother, and decided early on to pursue a career in the field. She has been involved in nursing for more than 50 years and has been in her current role for the past 12. As an occupational health nurse, Ms. Eufinger is responsible for creating awareness regarding communicable diseases, acting as a liaison regarding immunizations for domestic and international travelers, working with the community and the employees, and educating employees on nursing health topics. Ms. Eufinger has worked with a diverse group of people and has enjoyed teaching women and children the best health practices, and impacting their lives in a positive manner. Ms. Eufinger has received several awards for her dedication to her work. 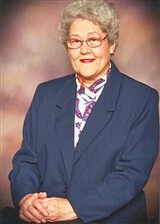 She earned the Lillian Wald Award for 25 Years of Exemplary Service in Nursing in 2010, Award for Contributing to Field of Public Health by the Oklahoma Public Health Association in 2009, and earned the Employee of the Year Award. Additionally, Ms. Eufinger continually updates her education in the field of public health and is constantly seeking out new resources for the citizens of her community. She attributes her success to her motivation, people management skills and ability to communicate effectively. Looking toward the future, Ms. Eufinger hopes to impart her wisdom on to up-and-coming professionals, while continuing to make a difference in the lives of others. This entry was posted in Public health and tagged award-winning, creating awareness, occupational health nurse, public health nursing. Bookmark the permalink.